You don't need all that caffeine anyway. ... unless ... you're using it for medicinal purposes only? Drink water, Jim, and time your bathroom trips carefully. Good hydration is very important for the brain's well being. A lot of caffeinated sodas cause dehydration and in quantity can cause toxic buildup resulting in high blood pressure and other problems. Very bad for recovering stroke victims! I can empathize today, after the dentist the left side of my face doesn't work. I also have a right rotator cuff issue that helps me drop stuff in addition to being painful. Apparently this can happen with too much mouse time. Gonna learn to control the mouse on the left. Sadness...empathy. A two handed soda can grasp returns one to remembrances of childhood. May you be blessed with sweet memories as you go through a second childhood. Not to worry -- I drink water most of the time. And in appropriate quantity. Trips to Japan were my final undoing. I don't have much Japanese, so how to explain to my hosts that my religion proscribes certain drinks, Everyone understands the phrase "Coca-cola". Problem solved. I have switched the mouse to my left hand, but not by choice. It works out just fine -- except my right continues to reach for the mouse, just out of habit. Thank you for the good will, and the prayers. Most of the time I have nothing else supporting me but the prayers and faith of others. It helps make a rough path a little bit smoother. 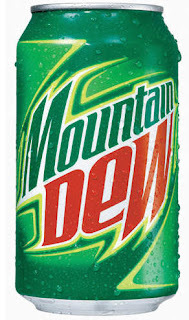 Oh man, don't EVEN get me started on Mountain Dew, it is addictive I'm 100 percent sure, back in my high school/dorky video gamer days I used to drink a 2 liter a night and stay up all night playing computer games. Whew! Memories.